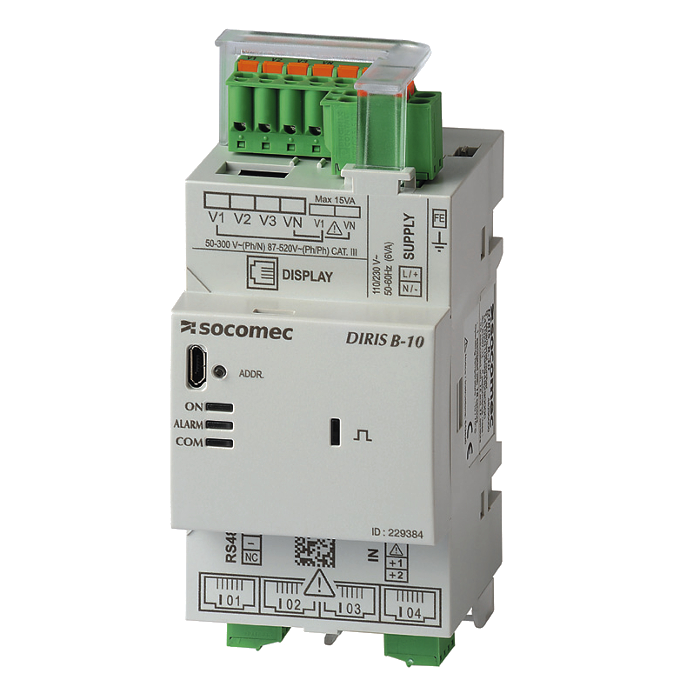 The DIRIS B-10 is a DIN-rail mounted power monitoring device for electrical installations..
Additional communication, input/output modules can extend the basic functional scope of the DIRIS B-10. An optional display can also be plugged to the meter. The DIRIS B-10 is compatible with TE/TR/iTR/TF smart current sensors, suitable for new or existing installations.